Those reindeer sure are busy on Christmas Eve. Make sure you sprinkle some Magic Reindeer Food on the grass so that Rudolph and his friends have enough energy to finish the job! 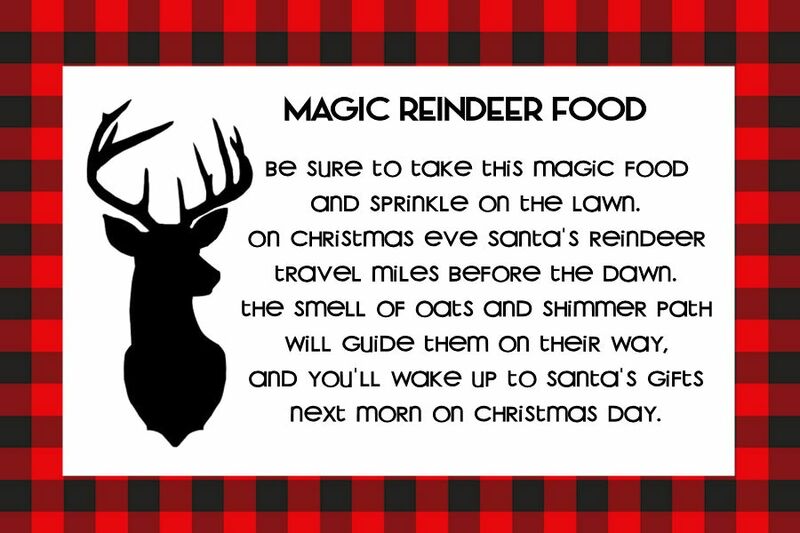 My kids and I have been making magic reindeer food ever since my oldest was in Kindergarten. (She’s now in 7th grade!) It’s something that I came across years ago and thought it was such a cute idea. We don’t have many Christmas traditions because it’s always a toss up where we will spend Christmas each year but 99.9% of the time we are home on Christmas Eve. Sprinkling magic reindeer food on the front lawn before bedtime on Christmas Eve has become the one tradition that we all look forward to each year. 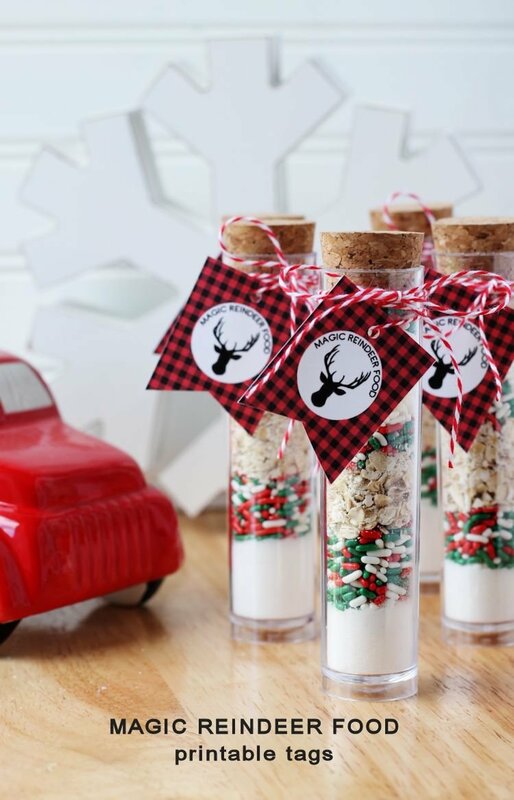 Not only is this a fun idea to do with your kids but these little test tubes filled with reindeer food would make the best classroom gifts at your child’s holiday party. 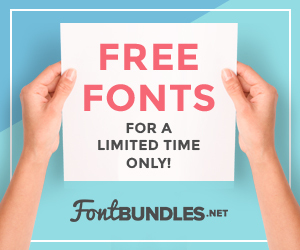 You could even give them out to the other special kids in your life who might like it! 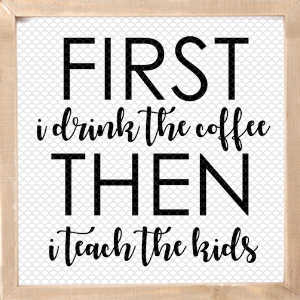 I already have a few in mind! 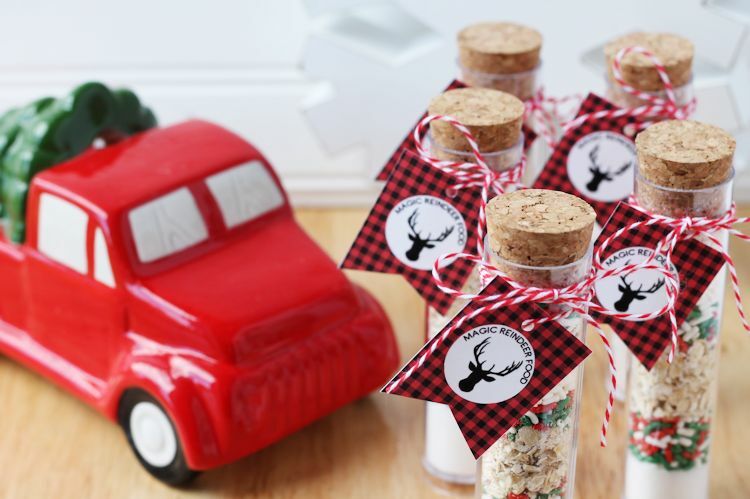 Making magic reindeer food is easy and there’s really no right or wrong way to make it. 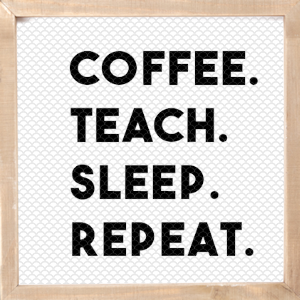 Mine always consists of sprinkles, oatmeal and sugar. The amount of each is up to you. 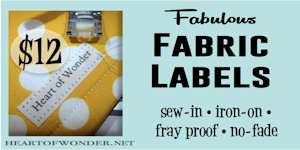 For this particular project I did about a tablespoon per layer. I also love that if you forget to do this until it’s almost too late it takes 2 minutes to whip up. 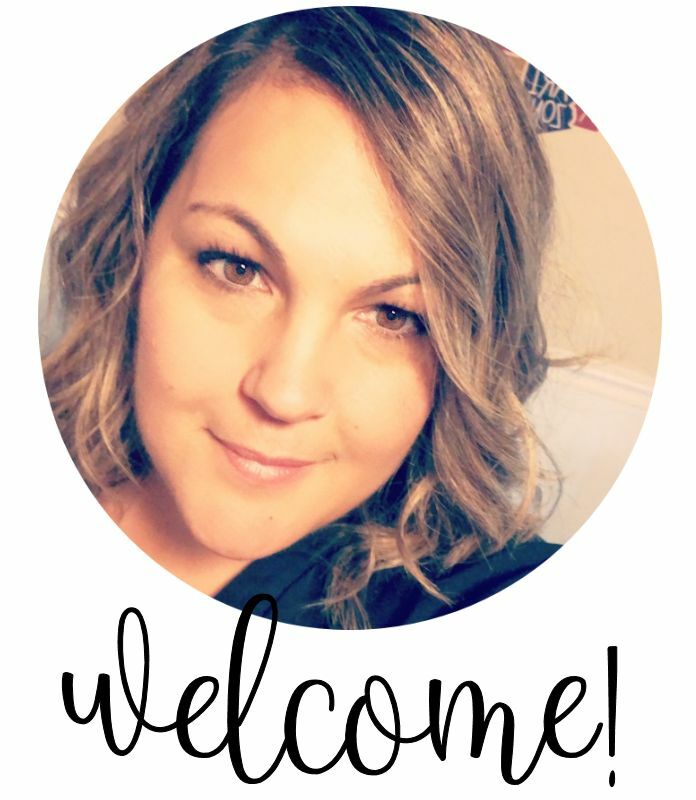 The last thing we want is tears on Christmas Eve……..especially right before bedtime……you know, when we are gearing up for the wrapping marathon that takes place for all of us last minute people. Ha! 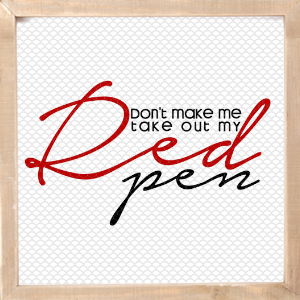 There’s a poem that goes along with this too! 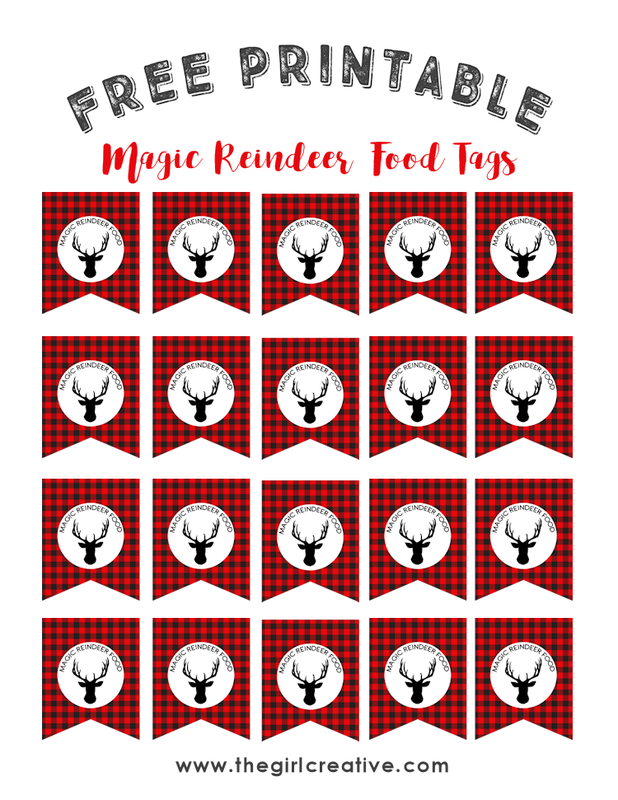 If you love this idea as much as I do, I have download links below for the Magic Reindeer Food tags as well as the card with the poem. 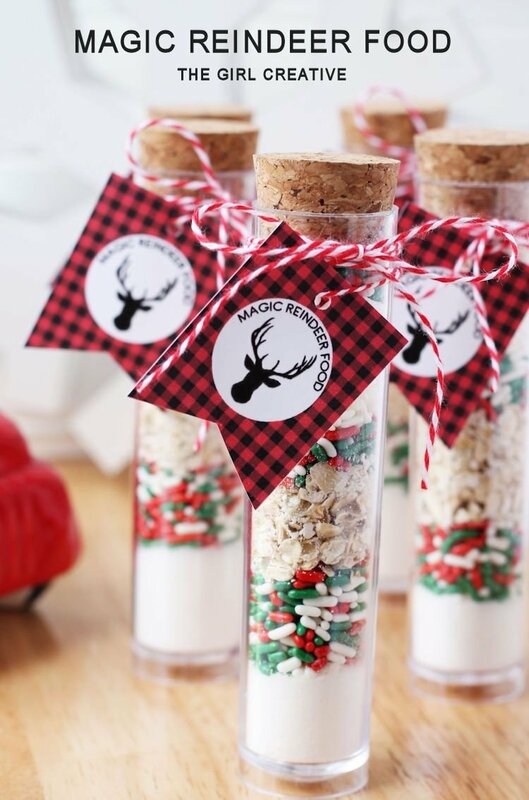 I picked up my test tubes in Target around Halloween but you can purchase them online elsewhere or you can just put the reindeer food in a clear treat back and tie the tags on that way. 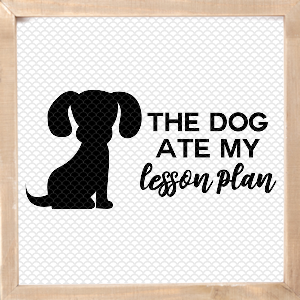 No matter what you do, it will look adorable and will be a big hit. 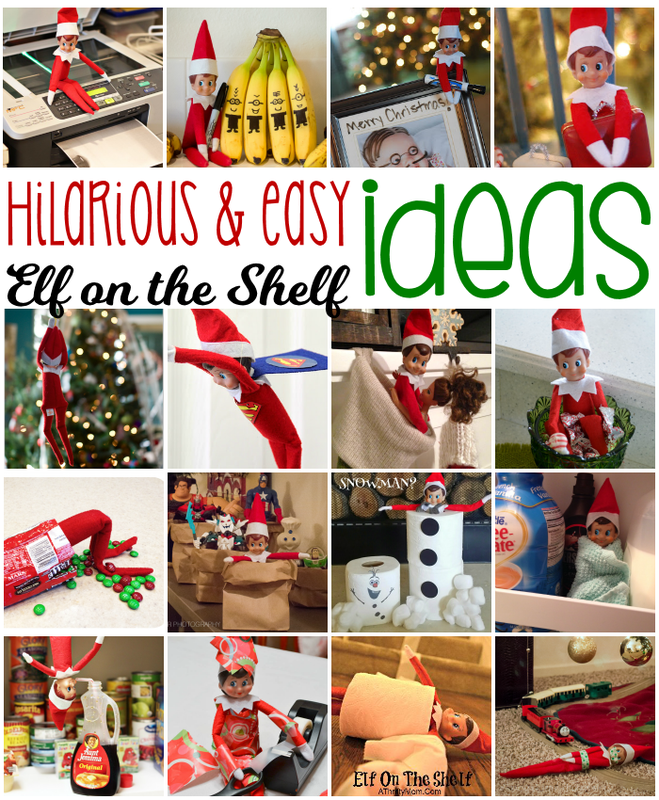 If you’re looking for more Christmas traditions, maybe Elf on the Shelf will interest you!